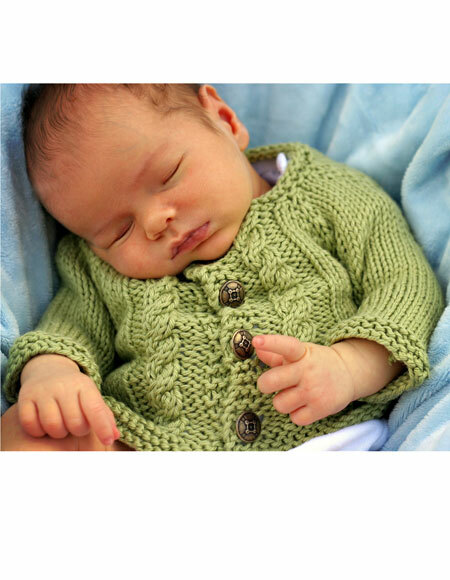 Knitting this pattern will create aperfect first cardigan for a new baby. 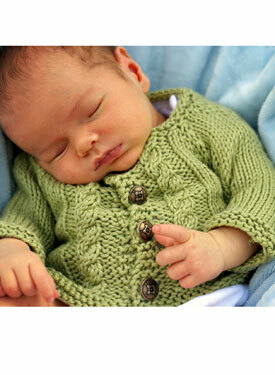 In sizes, preemie, small newborn and newborn, it will fit new babies of all sizes. 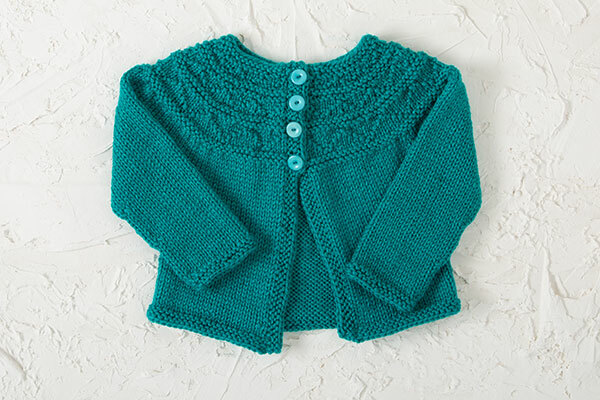 Using less than 100g of yarn, this cardigan is perfect for those quick gifts. 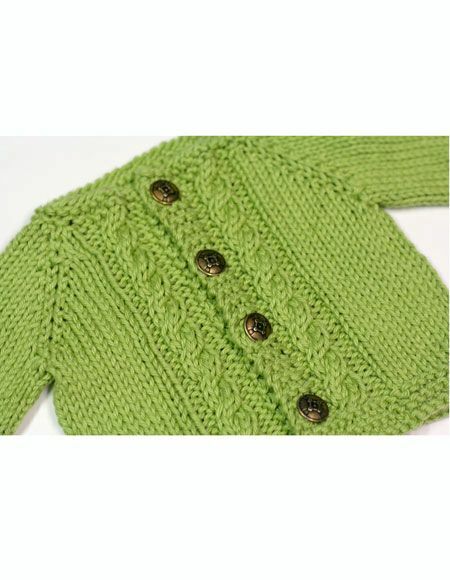 This was a fun, quick knit! I've never worked with a cotton blend before, so this was a nice introduction. I preferred the cables to be mirror images, so I reversed the left side cable. 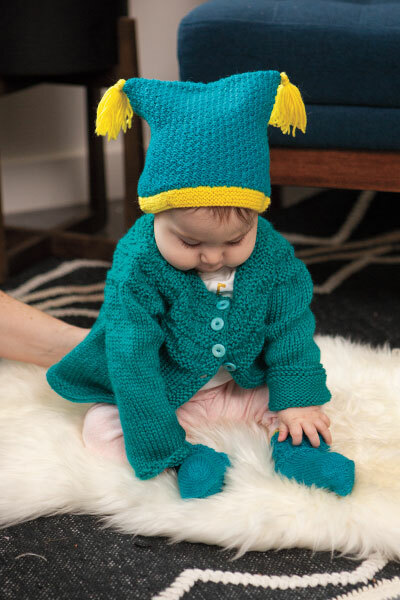 The pattern is well written and turned out so very cute!